Quiet hotel nestled in the birch forest. 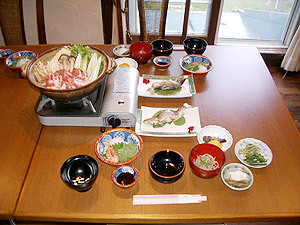 Guests may choose the meals from one of the following: grilled meat, shabu-shabu, and seafood pot. Cakes, fruit of the season, and locally produced vegetables are also available. Wine is available at an added charge of 630 yen. Plenty of homemade vegetables and hakuba pork are used as part of the ingredients. 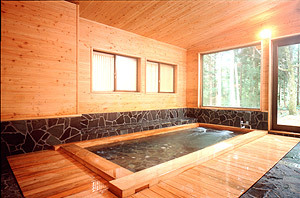 Public bath "SEISEN NO YU", and annex, offers artificial spa with cypress baths and outdoor rock bath. Outdoor bath is currently closed. 28 Guest rooms (available for 60 in capacity, 19 western-style rooms, 9 Japanese-style rooms, and 12 rooms of them have bath rooms) , a hall, an annex "SEISEN NO YU" (cypress bath and outdoor rock bath), a parking area, a fireplace. The village is surrounded by forest filled with larches, beeches, and birches. This place offers the full benefit of relaxation that the forest offers. 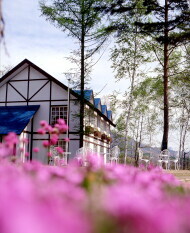 19 cottages are available for 2 to 11 persons in capacity. Barbecue terraces are available. Tennis courts are also available nearby. 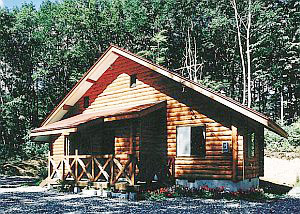 Cottage with a capacity of 11 persons. Overwhelming majority guest choose pot or grilled meat. Curry rice one of the most popular item on menu. 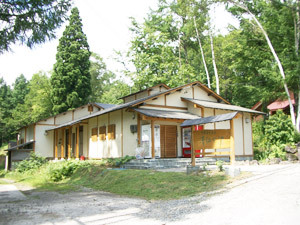 Public bath, "SEISEN NO YU" and hotel restaurant are also available for service. 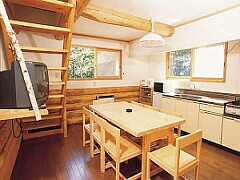 SEISEN NO YU can be accessed by any cottages within 1-2 minutes of walk. Card can be parked alongside the cottage. It is compact, and very quiet as it is located at the deep end. It is the smaller of two-in-one cottage. How about playing a game on the second floor after dinner? Suite Type　1LDK（Capacity 2 parsons）　Space exclusively reserved for two of you. ・Rate is the regular charge plus 2,000 yen per person. bath towel, shampoo, rinse, hair cap, tooth brush, hair dryer. Copyright BELLE COURT HAKUBA Co.,Ltd. Allright Reserved.